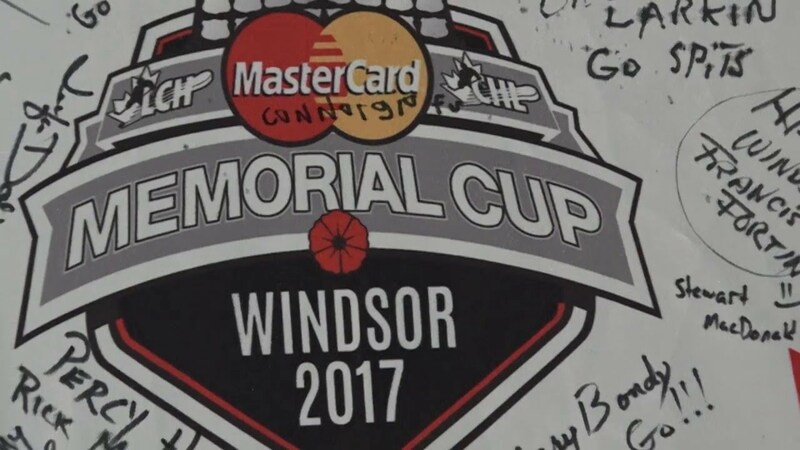 This year, the Memorial Cup is taking place in Windsor for the first time since 1981. The Spitfires have been off for more than a month now after being eliminated in a hard fought 7 game first round series against the London Knights. They will be looking to be only the second host team to win the Memorial Cup in the last decade – the other being the Shawinigan Cataractes in 2012. All games will be shown live in Canada on Sportsnet. Unfortunately, our friend in the United States are not as lucky as the NHL Network will be airing most of the games on tape delay. The two best NHL prospects in the CHL will be taking part in this year’s Memorial Cup. Dylan Strome and Mathew Barzal will each be looking to lead their team to victory in their final four games as junior hockey players. Add to that a Maple Leafs prospect, a couple Canadiens prospects and a whole bunch of Lightning draft picks and NHL fans will have a lot to watch for. There are going to be many fans that will be watching the Memorial cup for only one reason – to see the draft eligible players. As with most years, the best players in this tournament have already been drafted into the NHL, but there are a few guys to watch if you want to get a better grasp on this year’s draft. The consensus #3 prospect in this year’s draft, Vilardi is a big, strong center that scouts will have a keen eye on during the tournament.He is a big, strong forward that seems to be peaking at the right time. His season started off a little slow, but in the second half, Vilardi took off and began to show why scouts are so high on him. The knock on Vilardi has been his skating thanks to an awkward stride. It doesn’t look pretty but it’s powerful and he has a very high-end top speed. His puck skills are at an elite level and he is able to play a finesse role, combine that with a big body that allows him to win battles along the boards and you’ve for the kind of player teams want to build around. Thanks to a team filled with superstars, Ian Lodnia doesn’t get nearly the amount of attention someone with his talent deserves. He is an elite offensive talent and when he gets hot, he can be as dangerous as anyone on Erie. I wrote a more in-depth scouting report on Lodnia here. Ranked 110th among North American skaters by NHL Central Scouting, Moilanen is an undersized winger that likely caught the eye of scouts at last yea’s Ivan Hlinka Memorial Tournament where he had 4 goals and 6 points in only four games. He had a decent rookie season in Seattle but really took off during the playoffs. The size bias among NHL scouts is very real, so he’ll be looking to use this tournament to help convince a team he’s worth a late-round pick. Tyszaka is a big and mobile two-way defender. He is very effective in his own end and using his size and strength to win battles both down low and in front of the net. Tyszaka is very effective at leading the breakout, whether it be with his feet or using his tremendous vision to make a great first pass. Tyszaka’s weakness comes in the offensive zone. His wrist shot is just average and his slapper is below that. He’ll never be seen as an offensive threat, but that doesn’t take away from how good he is in transition. He’s likely to end up being selected intheh second round next month. DiPeitro could definitely be a game changer in this Memorial Cup. He was the best goalie in the OHL for parts of the season and looks to establish himself as the top goaltender in the draft. Seen by some as a potential first-round pick, DiPietro will likely be the third or fourth goalie off the board in June because he lacks the size HNL teams seem to be looking for these days. He is very mobile and has great positioning. His greatest strength is his rebound control. Scouts may undervalue him because he’s barely 6-feet tall, but that doesn’t mean he won’t steal a few games and help Windsor surprise a few people this week. Ranked 201st by NHL Central Scouting, Boka is a guy that could very well go undrafted this summer only to surprise people next season. He plays a bottom-6 energy role and excels at it. Though only 5’11, Boka is a very solid 205lbs and plays with a physicality that drives opponents crazy. He’s the kind of player doesn’t necessarily produce at a level you’d expect from a legitimate NHL prospect, but he plays a style of game that could very well lead to a decent professional career. The backup to Callum Booth, D’Orio might not get into the net during this Memorial Cup, but if he does, he’ll be looking to make the most of the opportunity. Ranked 13th among North American goalies, he finished 10th in the QMJHL with a .903sv%. Anthony Cirelli scores big goals – it’s just what he does. Two years ago, as a rookie Cirelli scored in overtime of the finals to win the Memorial Cup for the Oshawa Generals. Earlier this week, he was the one that scored the OT winner for Erie to clinch the OHL Final. Anthony Cirelli has a knack for playing his best hockey on the biggest stage – we should expect nothing less this time around. I think that Windsor is going to surprise a few people, but Sain John is just too good. As much as it pains me to pick a QMJHL team to win it all, I am going to go with Windsor over Erie in the semi-final – thanks in large part to the discrepancy in net – then Saint John to beat the Spits in the final.